It may only be October, but planning a Christmas marketing campaign takes a lot of thought and time. The build-up to Christmas gives your business the chance to offer customers something different. You can decide whether that is an exclusive product or something a bit silly and fun. Christmas can be a great time to grow your business. You can attract new customers who otherwise may not have found you. It is important to create an effective Christmas marketing campaign. It will help you get in front of a wider audience and has the potential to increase your sales. Here are a few tips on how to plan your Christmas marketing campaign. Think of a campaign idea that is different to what your competition are doing. Think about how it will enhance your business and boost engagement, awareness and sales. If you are stuck for ideas, you could put a creative spin on tried and tested campaigns. These include special offers or competitions. As Christmas is a time for giving you may want to think about focusing your campaign on charity. You can help a cause that you or your business believes in. Once you have chosen the angle of your campaign it’s time to start planning. You need to think about how you are going to spread the word. You need to drum up interest in your campaign. Think about the different marketing channels you are going to use. You need to decide whether you will send printed items. These could include direct mail, Christmas cards, year planners, calendars or diaries. You also need to consider online activity. This could include social media, blogging or email marketing. You need to start planning what’s going to happen and when. Think about the journey you want to take your potential customers on. Plan that journey from the first time they hear about you to making the decision to become a customer. You need to think about your target audience. You need to create content that will appeal to them and evoke emotion and action. Whether writing copy for direct mail, designing your Christmas card or creating content for your blog, get started early. Make sure everything is ready to go in time for the Christmas rush. Preparing before your campaign starts makes sure your content is ready to go. You need to make sure you have the time to focus on the new business generated by the campaign. 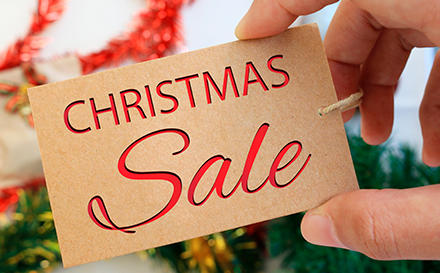 Planning on using printed marketing materials as part of your Christmas marketing campaign? Get any print jobs to your printer as early as possible. Allow plenty of time as many printers are busy in the build up to Christmas.